The NT Government is currently mounting a management plan to tend to the removal of asbestos uncovered at Darwin’s George Brown Botanic Gardens.A spokesperson for the Department of Natural Resources and Environment revealed that asbestos was uncovered in the gardens over a month ago. 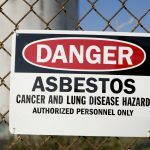 The asbestos is believed to be among the rubble dumped in the gardens following Cyclone Tracy.The Department stated that it is currently unclear how much asbestos exists at the site, but it is believed to be safe in its current form. However, despite the government’s assurance, workers have refused to service the garden because they have safety concerns with the asbestos.NT WorkSafe confirmed that inspectors have since visited the site and it is up to the government to deal with the asbestos removal. The Northern Territory Environment Department revealed that some soil with suspected asbestos contamination have been removed from Darwin’s Botanic Gardens. Asbestos was discovered at the gardens approximately a month ago and since then discussions have been ongoing regarding it’s removal. A spokesperson said some soil has been removed but it was not in a public space. Staff have still refused to mow the lawns and are continuing discussions with department and union representatives.